Many look at Proverbs 22:6 as a promise from God that right parenting will produce children who keep the faith. Does the Creator make this guarantee? The proverb reads: “Train up a child in the way he should go, and [or even] when he is old he will not depart from it” (Proverbs 22:6). At first glance this sounds like a wonderful promise to parents—exactly what every God-fearing parent would love to have as a promise from the Creator of marriage and family. Naturally, Christian parents possess an unquenchable hope that their children will remain with the faith in which they are reared. Or, if their child departs for a while, the parents cling to the belief that the child will return. But is Proverbs 22:6 a guarantee from God to parents that their children will stay in the Church? Unfortunately, it isn’t. But don’t many modern commentators, counselors and public speakers explain this verse as a guarantee? Yes, they do. But, regrettably, this is a misunderstanding. Promises of God include numerous benefits for obeying His way of life. But they do not include a guarantee to parents that children reared faithfully will keep the faith as adults. Some modern writers suggest that the phrase “in the way that he should go” includes the understanding of learning styles. Some children learn better visually, when they are shown illustrations of the lesson. Others learn better in an auditory manner, picking up the lesson by hearing alone. Visualizations would be distracting to these children. And some children learn with the help of motion or kinesthetically. That is, incorporating some movement into the lesson helps affix it to their understanding. If these children are forced to sit still, only seeing illustrations or hearing a lesson, they may fail to grasp the point at all! Such an explanation of this verse seems to add weight to the interpretation that the promises of God include a virtual guarantee to godly parents that “my child will stay with the faith all of his or her life!” Of course, understanding a child’s preferred way of learning can be helpful in order to better teach him or her, but this doesn’t really answer the question as to whether this verse is a guarantee that children will retain the spiritual values they are taught when they mature. In order to understand what Proverbs 22:6 is saying, we need to consider free moral agency, the background or culture of the day in which the proverb was written, as well as the meaning of the words used for “train up” and “a child.” What seems to be right isn’t always the case (see Proverbs 14:12). Fundamental to Christian understanding is the knowledge that God has given every person the freedom to choose whether he will submit himself to God’s way of life. “Submit” is the correct word, for this choice includes recognizing God as one’s sovereign and looking to Him as the authority to define right from wrong. This was symbolized by the tree of life in the Garden of Eden. It is another way of saying conversion or the Christian way of life—living one’s life in accordance with God’s laws, which define righteousness. The opposite choice was also symbolized in the Garden by Adam and Eve’s decision to disobey God’s warning and their eating fruit from the tree of the knowledge of good and evil. As a result, God forced them out of Eden. Their choice brought a curse on themselves and their descendants. Their choice was the opposite of allowing God to be their sovereign. It is the way of deciding for oneself what is right and wrong, what is righteousness and sin. That choice is the natural inclination of every descendant of Adam and Eve! It symbolizes the choice being made by most people on earth today. Doesn’t God want His children to stay with His way of life? Yes, of course He does! But He does not want people to be in His family against their will. That would be the consequence of taking away the freedom to choose. Such people would be like robots instead of individuals with free will. God wants children who choose to become members of His family, who choose to obey His household rules (His laws) out of love for Him. If the promises of God included an ironclad guarantee that children reared rightly by godly parents will absolutely remain in the faith as adults, this would strip those children of their freedom to choose. Free will is given by God to every human being. The way many people understand and speak of this proverb, therefore, contradicts one of the fundamental truths of the plan of God: free will or freedom of choice. It is a doctrinal error. One simply cannot twist the verse to mean if one rears children properly, then God guarantees they will choose the right path. Guaranteeing someone will make a choice cannot be done without God taking the freedom to choose out of the hands of every child reared by believing parents. Culturally, the Western world today does not have different classes of people; all are equal. That was not so in the time that this verse was written. One obvious status in ancient Israel was royalty, including princes, who received special treatment. There were also other classes. Young men (not young women) from the aristocracy would begin their specialized training in their late adolescence. This is when they would learn of future responsibilities they would have. Most young men were not of any special class, and they simply learned the trade of their father. In light of this cultural setting, note the explanation of Proverbs 22:6 by The Soncino Books of the Bible, edited by A. Cohen: “Train up. From the verb is derived the Hebrew word for ‘education’ (chinmuch). in the way he should go. lit. ‘according to his way.’ The intention is not ‘the way of uprightness and good living,’ but ‘for the way in which he is to spend his life.’ Whatever occupation he is later to follow it is necessary to prepare him for it in his early years, because then are habits formed which influence his conduct in manhood” (p. 146). “Train (Heb. hanak) means to dedicate (cf. Deut. 20:5; 1 Kings 8:63; 2 Chron. 7:5; Dan. 3:2). It has the idea of narrowing and in this verse implies channeling the child’s conduct into the way of wisdom. That guidance might include dedicating him or her to God and preparing the child for future responsibilities and adulthood. “‘In the way he should go’ is literally ‘according to his way.’ It may mean according to his own personality, temperament, responses, or stage in life. On the other hand it could mean the way in which he ought to go. The Hebrew grammar permits either interpretation. However the context favors the latter view. ‘Way’ in Proverbs usually means the path a person takes through life, not one’s personality, disposition, or stage in life. Consequently the verse is saying the parent should train up a child in the way of wisdom to live in the fear of God. Unfortunately, interpreting this verse as a spiritual promise from God has led to much unnecessary guilt, grief and self-condemnation by parents. Countless fathers and mothers who, from day one, have tried to “train up a child” in a godly manner have had their child choose to leave the faith when he or she became an adult. Some of these parents feel guilty, as if they did not do all they should have done. Added to this is the grief parents endure when their children make poor choices (Proverbs 10:1). Note the passion Jesus Himself expresses over the loss of those who chose to reject Him in Matthew 23:37. Parents need to understand that their mature children will make their own decisions about whether to obey God or not. While parents certainly need to teach and encourage their children to choose God’s way (note Abraham’s example in Genesis 18:19), they also need to realize that their children may have to learn through trial and error and that they may choose a different path than the one in which they grew up. God’s servants must always be “rightly dividing the word of truth” (2 Timothy 2:15), which means understanding and teaching God’s Word accurately. Failing to do so can bring unnecessary heartache, as well as lead one into wrong doctrine. 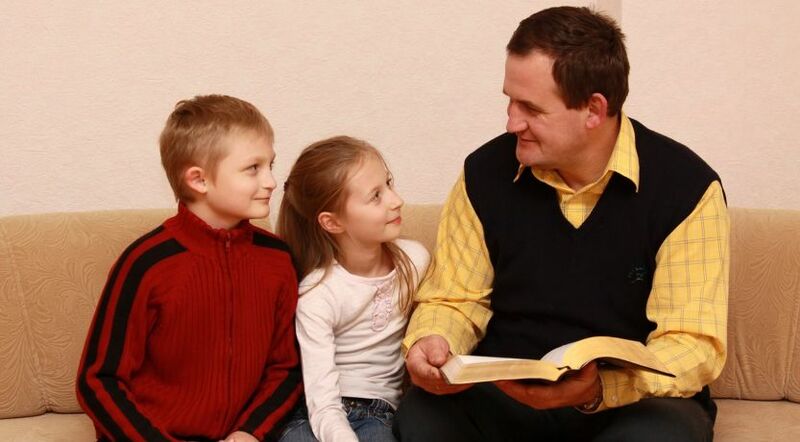 Those who attempt to put a modern spin on “train up a child” as a guarantee of a child’s future spiritual choice may be well-intentioned, but they are not presenting the Bible’s meaning accurately. Then, parents can encourage and assist the child through the education that the child will need to succeed. The proverb promises that a young adult who is given appropriate education will be properly prepared for his or her career. Even though Proverbs 22:6 doesn’t guarantee a child’s future choices, it is still important for parents to give their children spiritual education along with career preparation (Deuteronomy 6:6-7, 20-25). There are biblical guidelines for parents of young children to follow, by which they can raise their children in a godly manner. What is the advantage of doing so? First, it makes a more pleasant home to have children trained in love, respect, obedience, kindness, etc., in contrast to homes in which children do whatever they please at all times! But more than that, parents rearing their children in a godly manner give those children a wonderful window on what it would mean for them to choose God’s way of life—when the time comes for them to make a choice. Children in a home managed by godly parents will have the opportunity to see God’s way of life in action year after year. When they reach maturity they will then have a better understanding of the consequences or rewards that will come from their choices. We regularly address positive methods of child rearing in our articles and blogs to help Christian parents meet the ever-increasing demands in this present world. See our “Positive Tips for Practical Parenting” section.